Everything you need to get your permit today! Start and stop the course whenever you want! Fast & Easy - Get Your Certificate Today! Fast & Easy Traffic School - Get Your Certificate Today! Whether you're taking our 4-Hour Traffic Law and Substance Abuse Education (TLSAE) Course to get your Florida Learner's Permit or if your need a Defensive Driving/Traffic School Course to dismiss a ticket or get an Insurance Rate Reduction, you've come to the right place. 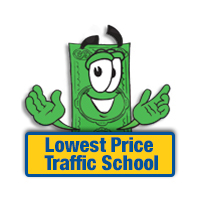 At LowestPriceTrafficSchool.Com we offer the best courses in the industry at the lowest prices you'll find anywhere and we guarantee it! Plus, every course we offer is state-approved and can be completed online in the comfort of your own home. Whether you need Driver's Education or Traffic School, our 100% online format gives you total convenience and flexibility. Not only will you have access to your course 24/7, but you'll also have the freedom to work on it wherever you please. Put the days of a crowded classroom behind you and take your next First-Time Driver's Ed or your Florida Traffic School online from LowestPriceTrafficSchool.com. We know that you have a choice when it comes to your online Driving Courses, so that's why we offer the best courses in the industry at the lowest prices you'll find anywhere. And we don't just say that, we back it up with our Low Price Guarantee and our straight forward pricing. Every online driving course we offer has been approved by the Department of Highway Safety and Motor Vehicles (DHSMV) and will fulfill your legal obligations. Rest assured, if you're a first-time driver looking for a convenient Driver's Ed alternative - or if you need to dismiss a traffic ticket, prevent your insurance rates from going up, or need your license reinstated - you can put your trust in us. What about My Certificate of Completion? If you're looking to get your First-Time Driver's License of if you're taking our 4-Hour or 8-Hour Traffic School course, the thing that you really need is your certificate of completion. This is the document that verifies that you have completed your online course. We understand that there are often important deadlines that you must meet, so upon completion of your course, we'll process your certificate and send it to you via US Mail. If you need it faster, we also offer rush processing/express delivery for an incremental fee. Why am I Guaranteed to Pass my Course? One of the coolest things about our courses is if you don't pass your final exam on your first attempt, you can take it again as many times as needed until you do. 99% of our students pass the course because it's SO easy, fast, and fun! So don't worry - enjoy the course knowing you pass and if you don't, you can take unlimited re-takes for a small fee. So, what are you waiting for? Sign up and get your certificate today! Yes. All our courses are State-Approved. Whether you require an online TLSAE Course, Traffic School Course, Traffic Collision Avoidance Course (TCAC), Mandatory Driving School, or Court-Ordered Traffic School, you can be confident that you're taking the course you need to successfully fulfill your legal obligations. Is the Online DMV Exam State Authorized? Yes! Our Florida Online Permit Exam is authorized by the Florida DMV for anyone age 17 and under. The permit exam includes the required road rules and road sign examinations. 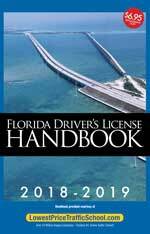 When you complete your authorized FL Permit Exam online there is no waiting at the DMV. Register now for any course or product and Save $5.00 during checkout! Simply enter SAVE321 and take advantage of this $5.00 discount. Eclipse 2017 - Avoid the Roads!